Rubio’s Coastal Grill is a fast-casual restaurant chain that specializes in Mexican food. Their specialties include fish tacos, burritos, salads, and quesadillas. They are formerly called Rubio’s Fresh Mexican Grill. The restaurant chain was founded by Ralph Rubio in San Diego, California. In 1983, its first restaurant was opened on Mission Bay Drive within the Pacific Beach area. It offered French fries, fish tacos, and calamari, among others. The company currently has over 200 restaurants in California, Arizona, Florida, Nevada, Colorado, and Utah. With headquarters in Carlsbad, California, the company employs more than 4,000 employees. Team members contributing to the company’s profitability and growth enjoy multiple benefits including medical, dental, and vision insurance, sick and vacation pay, 401K plan, and food discounts. There are also bonus incentive plans for managerial positions. Rubio’s is an equal opportunity employer, which means they give applicants equal employment consideration regardless of race, color, gender identity, and religion. They offer competitive pay, career advancement opportunities, and flexible labor schedules. How old do you have to be to work at Rubio’s? You must be at least 16 years old to be considered for employment. Entry level positions include cooks and guest service agents. More experienced professionals may seek higher managerial positions such as store manager, assistant manager, and shift leader. Career-minded professionals and entry-level applicants may qualify for a position. Both part-time and full-time positions remain available on a regular basis, and the online application portal is always accessible for aspiring candidates. Cook: Responsible for preparing the needed ingredients and equipment, setting up workstations, inspecting food preparation, ensuring observance of sanitary food-handling practices, testing food prior to serving to make sure they are cooked sufficiently, and preparing and garnishing the food to be served to the customers. Guest Service Agent: Takes orders and maintains cleanliness of the dining area, cordially greets guests, accurately records orders, processes payments, provides correct change to customers. Interested applicants must be enthusiastic, welcoming, fluent in the English language, and able to stand for extended periods. Shift Leader: Performs basic managerial duties; interacts with customers, trains new staff, files financial paperwork, and opens and closes the restaurant; must possess a team player attitude, excellent communication and PR skills, and basic math skills; bilingual candidates may gain greater hiring consideration. Cashier: Cashiers mainly assist customers in the check-out process, handle cash, check, or credit card transactions, issue receipts, credits, change, or refunds, greet customers entering and leaving the restaurant, and ensure that the amount of money in the cash drawers is correct. Restaurant Support Center Staff: A member of the support center attracts prospective customers by responding to questions or inquiries about products and services, handles customer concerns and requests. The restaurant support center staff are also expected to resolve issues with products and services should there be any customer complaint. Restaurant Manager: Maintains the restaurant’s revenue, quality, and profitability goals, ensures efficient store operations, responds accurately and efficiently to customer complaints, ensures compliance with safety and sanitary regulations, delivers superior service, and works towards complete customer satisfaction; must have excellent leadership, people, and motivational skills. Assistant Restaurant Manager: Runs the staff when the restaurant manager is off-duty or engaged elsewhere; makes sure employees dutifully perform their respective tasks—from greeting customers, preparing the meals, serving and charging customers, to responding to customer requests, inquiries, and concerns, and guaranteeing customer satisfaction. General Manager: Responsible for staffing the restaurant, as well as for training and coaching the employees, and keeping the business running efficiently; general managers create job descriptions, review applications, interview prospective employees, communicate the company goals and mission to the employees, and are focused on the overall success of the business. Marketing Manager: Manages all marketing campaigns of the company, develops effective marketing strategies, creates and publishes marketing materials, plans and implements promotional campaigns, monitors and reports on effectiveness of undertaken marketing endeavors, and takes overall responsibility for corporate identity and brand management. Regional Director: Responsible for the operation of multiple stores across multiple states or certain regions; regional directors ensure that operational practices in all the restaurants under his direction run smoothly, meet the sales and budget goals, and comply with sales and marketing campaigns of the company. 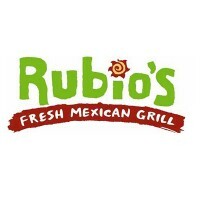 Rubio’s has an online career portal, accessible through their website, where interested applicants can view all open positions and corresponding job requirements, and submit their application. Apart from submitting their application online, applicants may also join hiring events organized by Rubio’s. Details regarding such events, such as the venue, date, time, and wanted positions, are announced on the company’s site. When asked to fill up an application form (whether online or on-site), be sure to double-check every field before submitting the completed sheet. Mistakes may affect your chances of being considered for a job. As much as possible, applicants should cater their resumes for the food industry to display suitability for the job. Candidates with background in the food and beverage service industry may gain further consideration. Always remain professional and polite during the interview with the hiring team. Recruiters prefer applicants with friendly traits and upbeat personality as one of the company’s top priority is providing hospitable guest service. Rubio’s has managed to keep a fast-paced yet clean, happy, and well-managed environment. Its atmosphere is like the ocean side, making you feel like you’re working near the waters. The restaurant chain has won several recognitions including San Diego Magazine’s Best Fish Taco Since 2014 and San Diego Union Tribe’s Best Fish Taco (2010, 2011, & 2016). It ranked #5 of 112 Limited Service Restaurants by Nation’s Restaurant News. The company is known for participating in community events such as the Beach Wine & Food Festival, Butterfly Festival, Brea 8K Classic, the 59th Winter Park Sidewalk Art Festival, Bunny Hop at Winter Park Village, and Run the Runway. The company also supports non-profit organizations such as sports teams, schools, and religious organizations. They donate 20% of the sales (pre-tax) generated by the fundraiser and help promote the fundraising event by creating custom flyers. 1 How old do you have to be to work at Rubio’s?